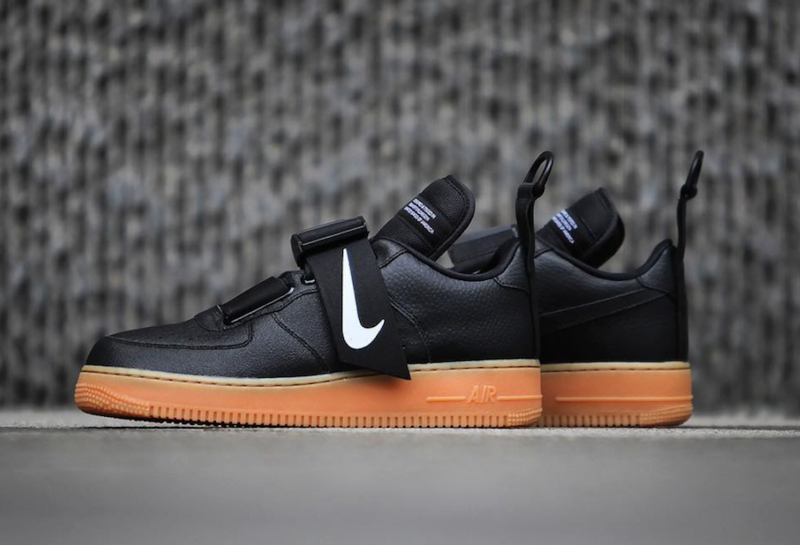 While we are still enjoying the most creative silhouette from Nike, the Air Force 1 Utility, Nike is aiming to drop a ” Black Gum” version for this month. 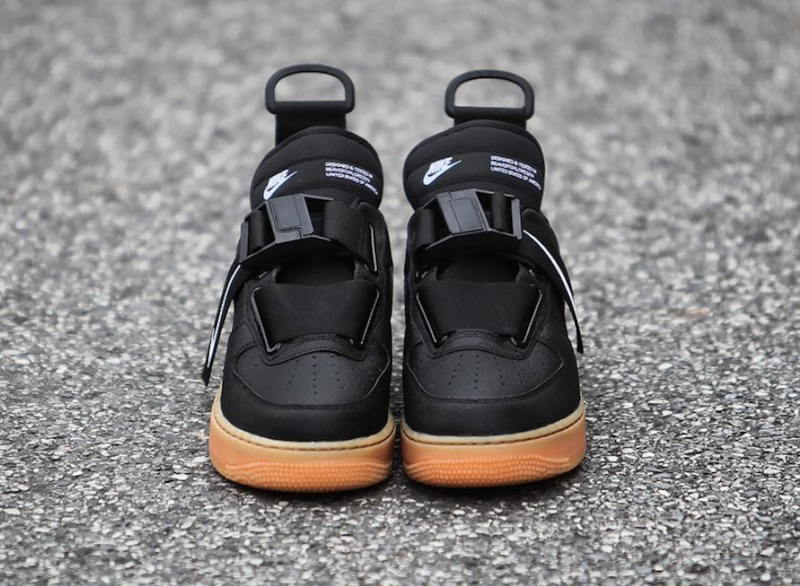 This Air Force 1 Utility features an all- black leather upper, the unique nylon strap detail added a flair with a buckle closure for more flexibility. 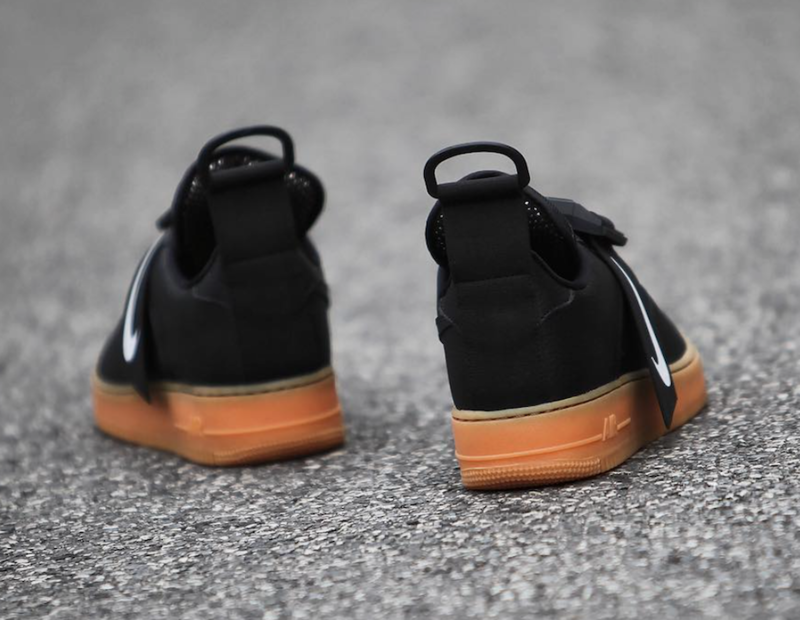 The white color comes across the Nike Swoosh logos and the branding. 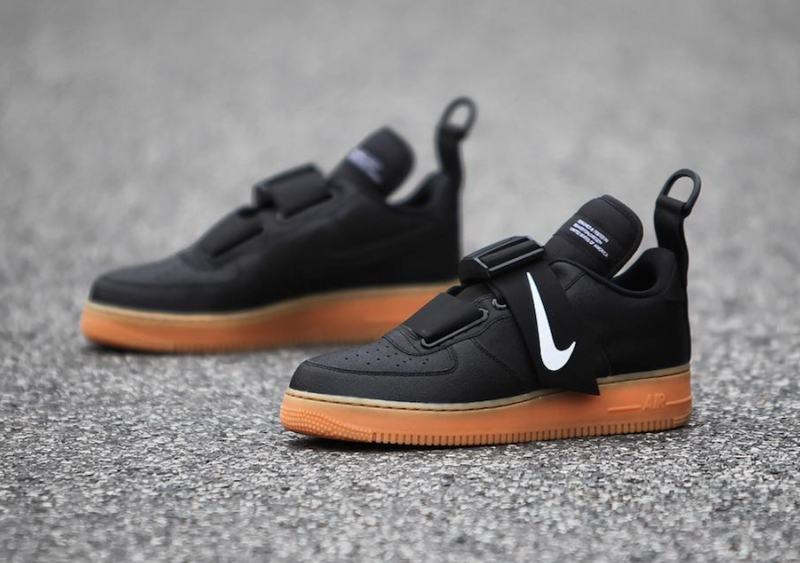 This simple and classy design is finished off by a gum rubber AF1 outsole. 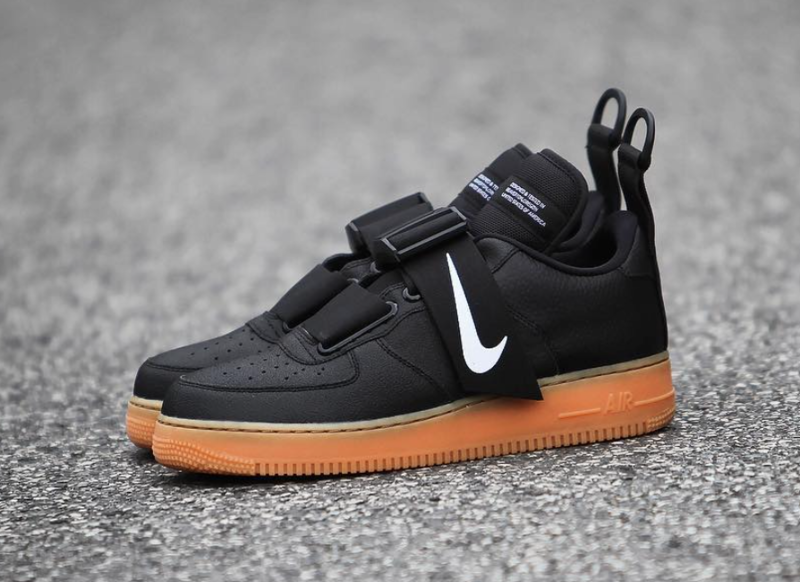 Wait for this Nike Air Force 1 Utility ” Black Gum” to hit the shelves very soon at select Nike Sportswear retailers and on Nike Nike Air FoStore Online. 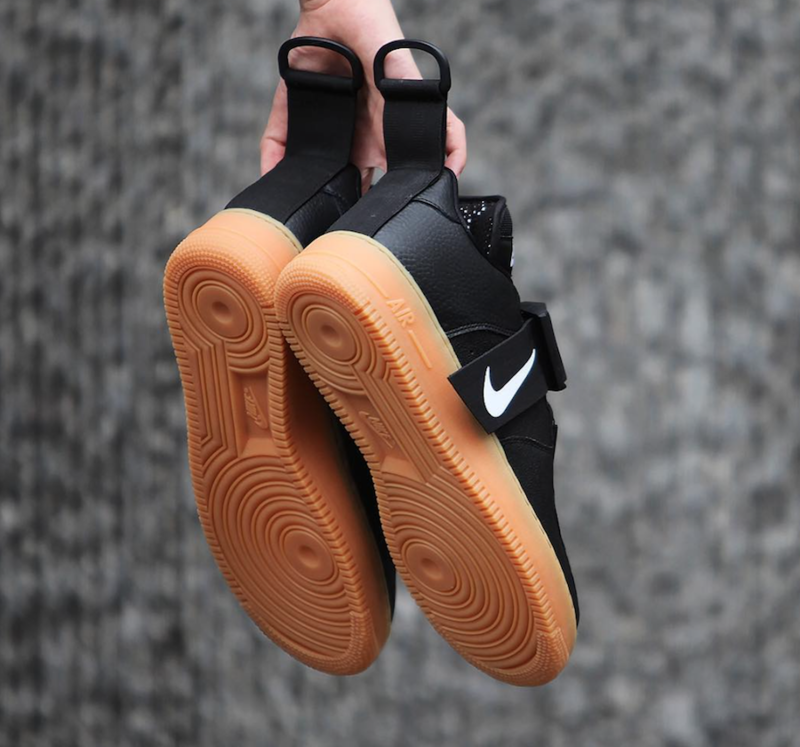 Check out more detailed images below and enjoy picking up a pair for $145 USD.